Home > Toys & Games > Gamings > Microsoft Store: Get Up to 4 FREE Games with Xbox One S Bundles! 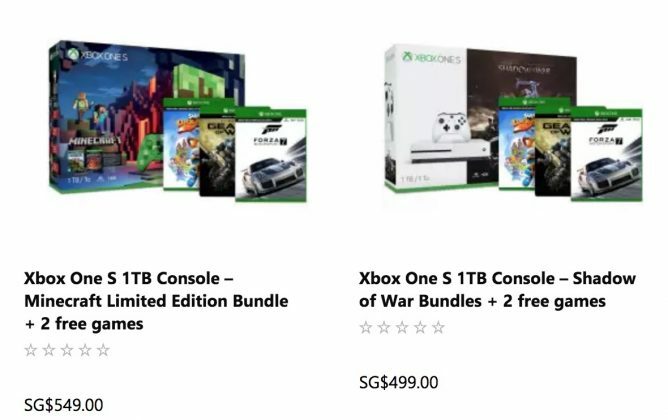 Till 31 Dec 2017 Microsoft Store: Get Up to 4 FREE Games with Xbox One S Bundles! 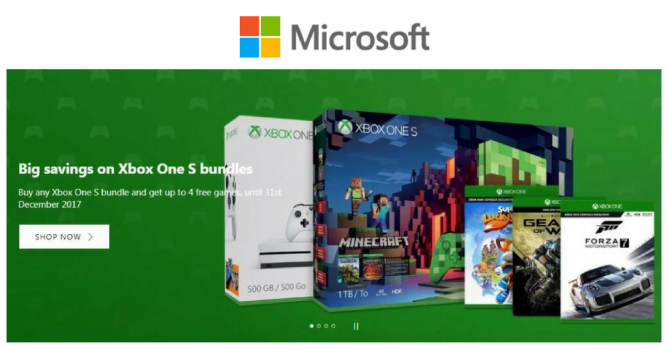 Gamers, you will love this deal at Microsoft Online Store! Last chance to enjoy up to 4 FREE games with Xbox One S bundles from now till 31 December 2017! Previous: [FragranceNet] Didn’t get what you wanted? Now’s your chance! Next: [Neiman Marcus] $50 off! Plus, 70% off in Sale!